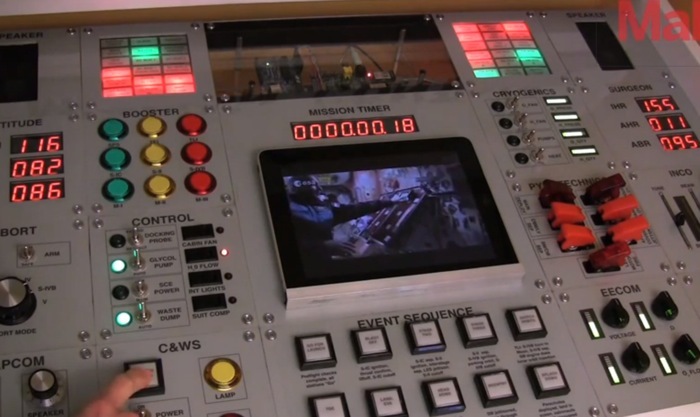 If you are looking for a new project to build using a Raspberry Pi mini PC or Arduino controller and would enjoy playing with your own mission control desk or know a budding astronaut that might. You are sure to enjoy this awesome DIY Mission Control Desk created by Jeff High Smith, made using a variety of switches, buttons and dials to create a fully featured command console that both adults and children are sure to enjoy playing with. Check out the video after the jump to learn more. Jeff High Smit explains the inspiration behind the awesome control centre desk : “My older son recently started school and needed his own desk for doing homework. I wanted to make something nicer than a simple tabletop with legs, and realized that I could also build in a bit of fun for when the homework is finished. Both my boys and I still had space travel on our minds from our summer trip to Kennedy Space Center. For this desk project, I decided to go with a NASA theme. For more information on the awesome Raspberry Pi and Arduino powered mission control desk jump over to the MAKE website for details.